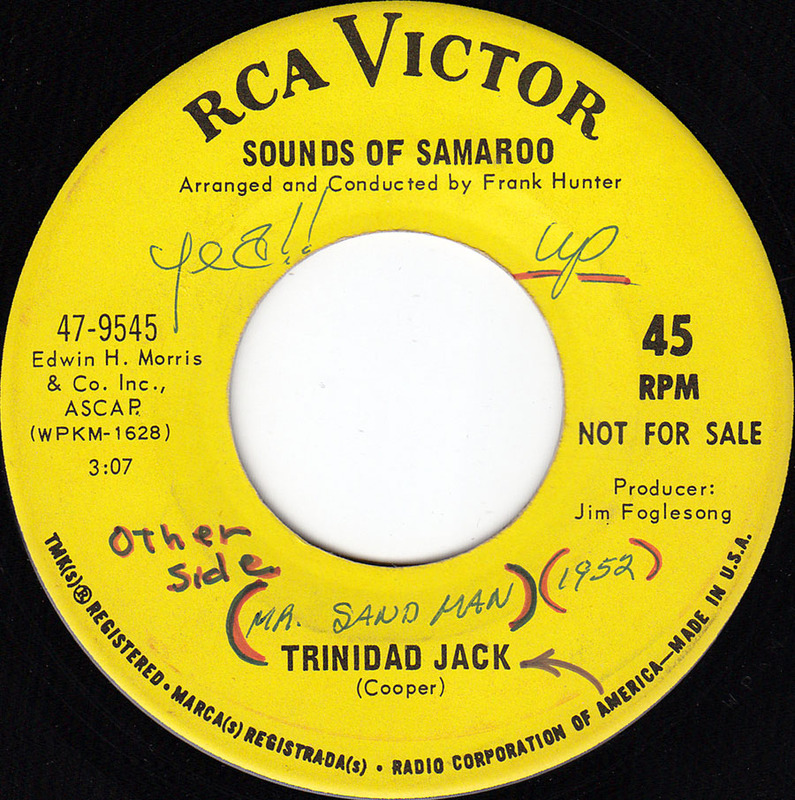 Billy Mo, originally Peter Mico Joachim, was born in 1923 in Trinidad and arrived in Hamburg via England in 1956. In London he had studied music at the Royal Academy of Music and played together with Winifred Atwell, who was also born in Trinidad. 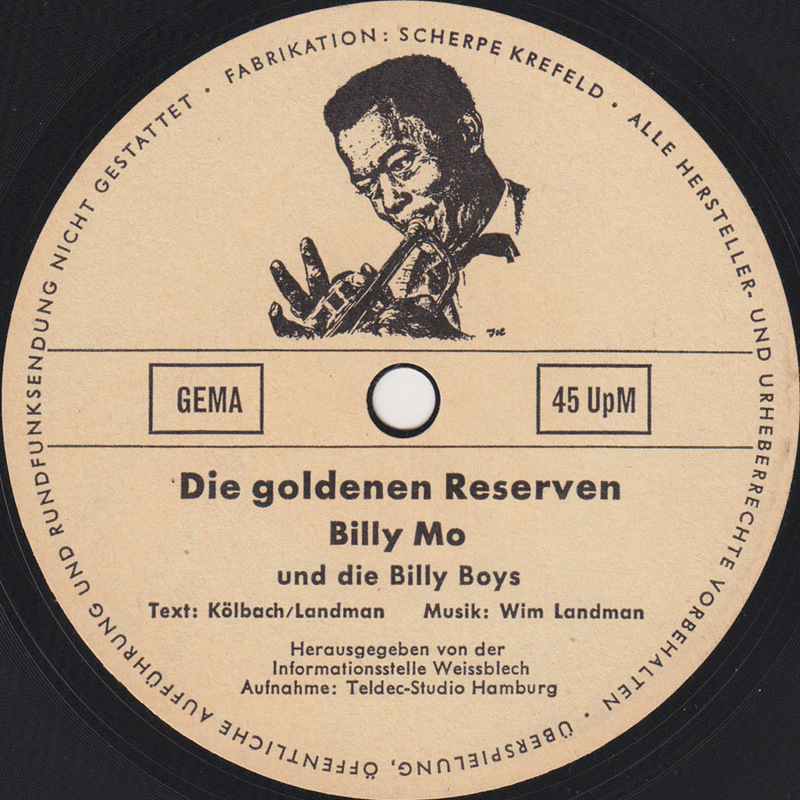 Billy Mo recorded some swing sides in Hamburg but got his big break when he recorded Ich kauf mir einen Tirolerhut in 1962. The song reached #1 in early 1963 and stayed on top of the German charts for four weeks. It was recorded in many languages and Billy even recorded an English version: I’d rather buy myself a Tyrolian hat. The success of the song pretty much sealed his fate and he made a career of recording and performing German Stimmungsmusik. But he continued to play jazz until his death in 2004. Bear Family Records re-issued Billy Mo´s cool rockin´and swingin´material from the 50´s on the Mr. Rhythm King CD in 2003. This flexible record was simply advertising for cans. In the early 60´s the German steel industry was still going strong. Today only one company is manufacturing tin foil in Germany. I found this 45 in one of the record stores in Brattleboro last summer. Julia always seemed to be waiting for me so I listened to a couple hundred records really fast. A couple of seconds per record had to do. But otherwise I might have spent a couple of days in those stores instead of an afternoon. Most of the 45´s at one of the stores seemed to have come from a radio station. They had little notes or, as in this case where both sides have the same labels, corrections written on them. 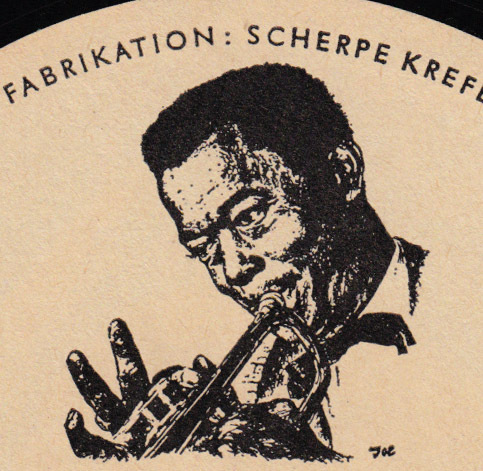 I´m still not sure, but I think this might be Jit Samaroo´s first record. 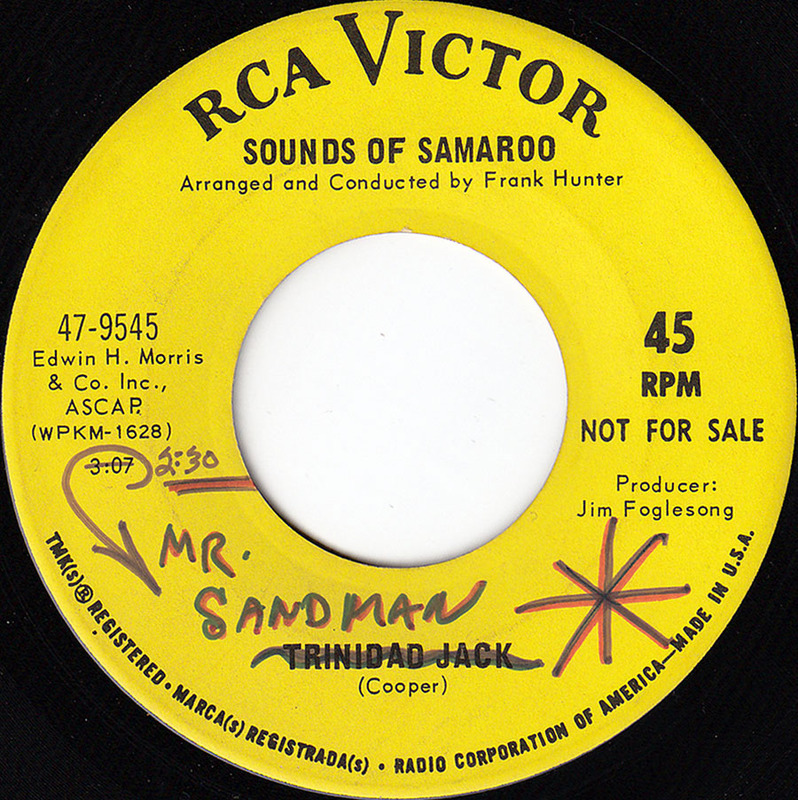 Jit Samaroo is an arranger, composer and Steelpan musician from Trinidad. He would have been 18 years at the time. On both songs the steelpans are prominent but also backed by horns and other percussion instruments arranged and conducted by veteran orchestra leader Frank Hunter. But I might be completely wrong. There was no information about this record on the internet. Anyway, nice cheerful tunes.